This is one of those projects that I feel like took forever. But I am so glad on the choices we made for the product materials, finishing touches, and everything down to the last touch. The big push was when Home Depot asked me to be a part of their spring patio style challenge. It made me want to get things on this project wrapped up, and that it did. Here is a little before and after, but I will have all the details on my blog Wednesday. If you can't wait that long, you can view it on the Home Depot blog tomorrow. Here's a little before and after to get you pumped up! The information is really helpful for me. Keep sharing these type of detail with us. 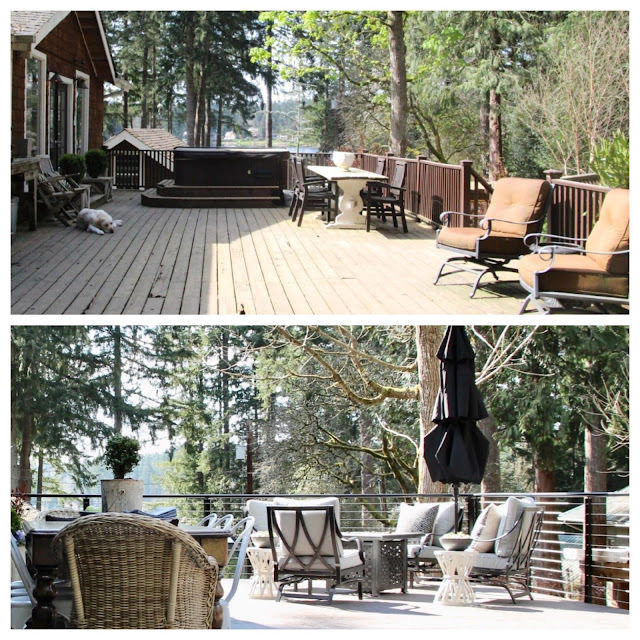 Are you searching to buy deck builders by visiting River City Deck and Patio. I see your project is nearing completion. Very nice project.